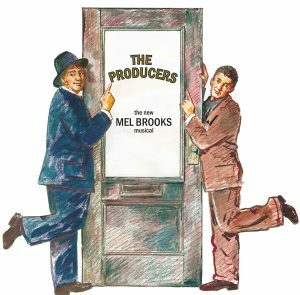 Order Tickets for "The Producers" 2019 - The Brandywiners, Ltd.
Tickets for the 2019 production of The Music Man include admission to Longwood Gardens beginning at 9 a.m. on the day of performance, plus a spectacular fountain display immediately following the show. To order by mail: Download the order form HERE, complete, and mail to The Brandywiners, Ltd. The completely redesigned Terrace Restaurant at Longwood Gardens is now open, offering fresh fare in beautifully appointed rooms for a memorable dining experience. The entire interior has been transformed into unique themed dining areas that celebrate the heritage and mission of Longwood. Choose from “tossed-to-order” salads, soups, panini, pastries, cappuccino and more in the Cafe. Enjoy your meal in one of three rooms: “The Lodge,” with a central fireplace and expansive views of Longwood; “The Founder’s Room,” honoring Founder Pierre du Pont and his many contributions to the Gardens; and “The Gallery,” showcasing artwork created by students in Longwood’s Continuing Education classes. For a formal, full-service dining experience, visit “1906”—the dining room named in honor of the year Mr. du Pont purchased Longwood. The new menu highlights local fruits, vegetable, and meats, bringing the freshest ingredients to our guests. Call Central Ticketing at Longwood Gardens, 610-388-1000, or visit www.opentable.com and search for 1906 at Longwood Gardens. The Brandywiners, Ltd. cancels performances based only on conditions at Longwood Gardens and, unless extraordinary conditions prevail, not before the announced curtain time. Summer showers are not extraordinary conditions. Please listen to WDEL, WILM, WJBR, or WPEN, or call 302-478-3355 for cancellation information. If The Brandywiners, Ltd. cancels a performance before intermission, we will reschedule it for the next available rain date. We will not offer refunds, but we will exchange tickets if seats are available. Please retain your ticket stubs and programs for use at the rain-date performances. If The Brandywiners, Ltd. cancels a performance during or after intermission, we will consider it a complete performance. We will not reschedule it and we will not offer refunds. The Brandywiners, Ltd. is one of the largest nonprofit theatrical groups in the Delaware Valley.